Empire is a jaw-dropping super ultra-shiny true gold Ultra Metallics™ nail polish that is simply awe inspiring. Generously accented with holographic micro flakes for a vivid rainbow twinkle, Empire is the total package. Step into the sunlight wearing Empire and prepare to be stunned at the richness, the incredible sparkle, and the mind-blowing mirror-like reflectivity radiating from your fingertips! Empire is part of a set of 6 new holiday themed Ultra Metallics™ polishes that take advantage of our Ultra Metallics™ formula for an incredibly ornamental-like finish! 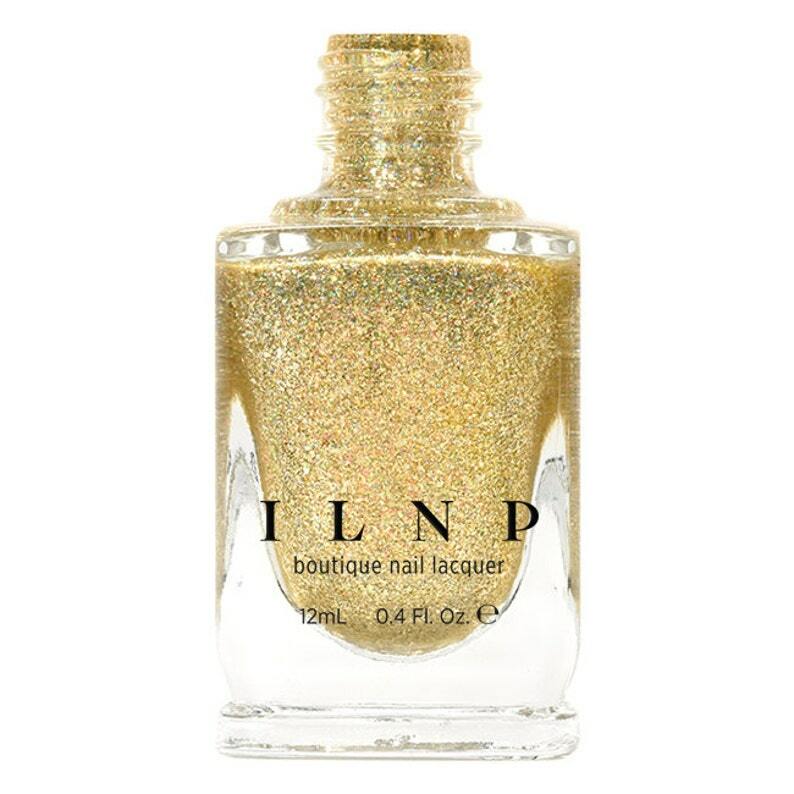 Empire is part of ILNP’s Ultra Metallics™ class of incredibly vivid metallic finish nail polishes; specifically formulated with various ultra-thin metallic flakes for a blinding sparkle with an undeniably rich finish and super-easy removal! Please be advised that this listing is for 1 (one) bottle of Empire holographic nail polish. Any base colors used in swatches and other photographs are not included unless otherwise stated. This is such an amazing gold glitter. 2+ coats and it’s unbelievable!